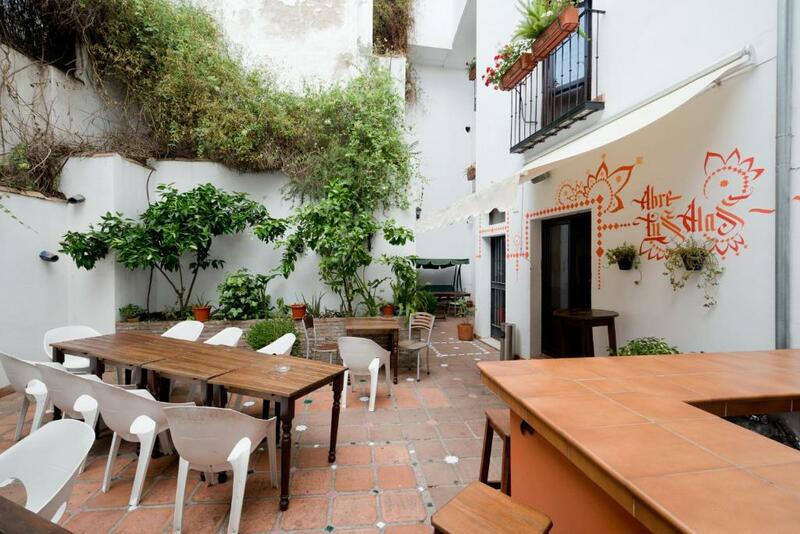 Lock in a great price for Oasis Backpackers' Hostel Granada – rated 8.3 by recent guests! 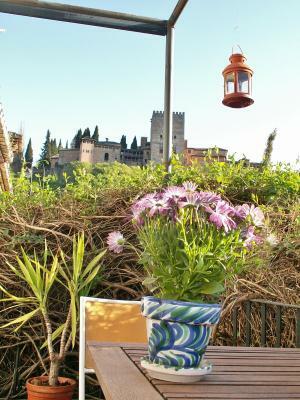 Really beautiful terrace outside of our room. Lots of natural light and cool little patios on all floors. 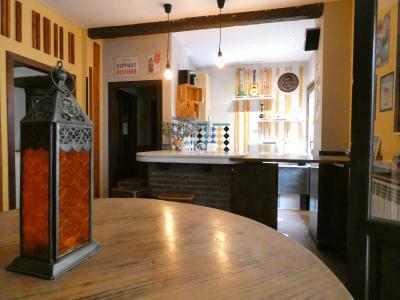 Its a great location, near to everything and the staffs are so amazing and so friendly! 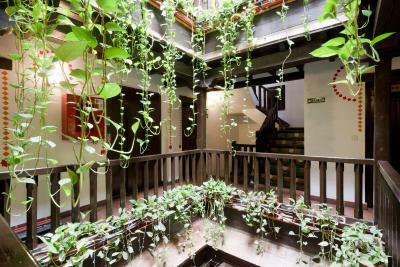 I highly recommended this hostel to stay because they have a lot of activities that im sure you will enjoy. 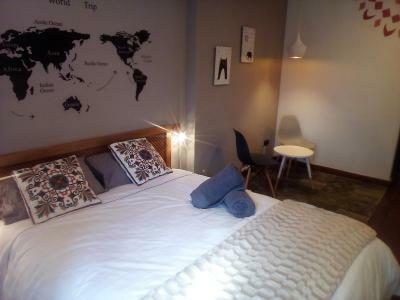 They will allow you to leave your baggage with free locker even your not yet checking in or already check out, fast wifi connection and nice kitchen. The whole thing is perfect. Ann is super. The rest of the staff too. Clean place lots of bathrooms. A great place to sit and talk amongst yourselves. 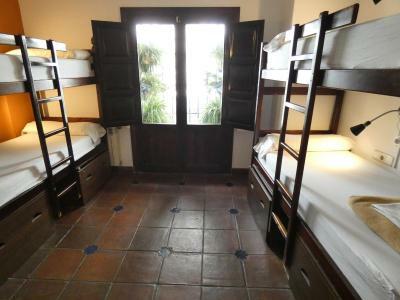 Great location, staff was nice, beds nicely equipped with storage underneath. Make sure you bring your own lock. 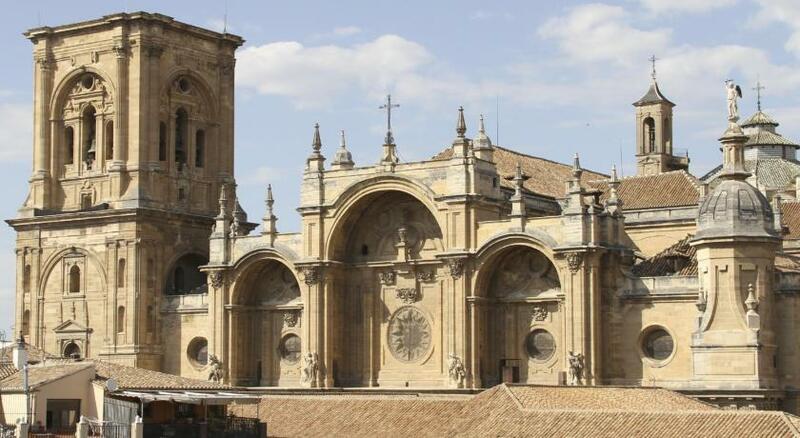 Great location in the city center near the cathedral and bus lines and a short walk to the Alhambra. 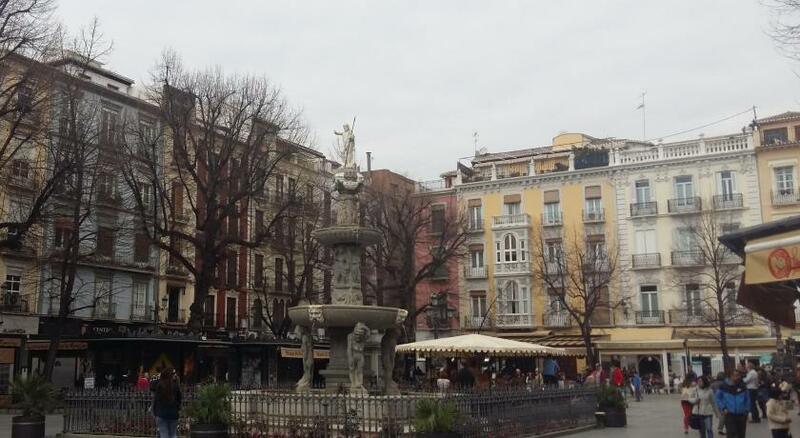 Many restaurants and shops all around. Great staff too...Ana Maria is an awesome recepcionista, super helpful and friendly and a delight to interact with! So was one of her colleagues whose name I can't recall. 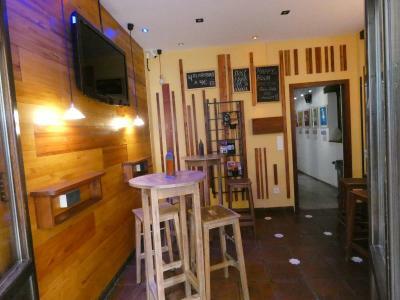 An active, lively place more than a quiet, peaceful place, with bar, kitchen and a nice rooftop terrace with views out over the city. My room was comfortable but a little dark and small. 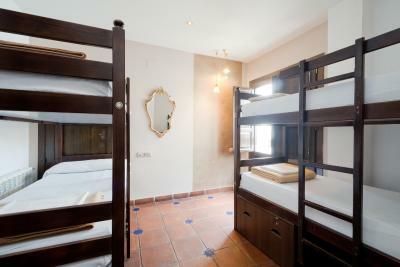 This hostel is in an old Spanish home in one of the oldest neighborhoods of Granada. Its also just a street up from the center. Loved everything about it - the staff are all super friendly and helpful. 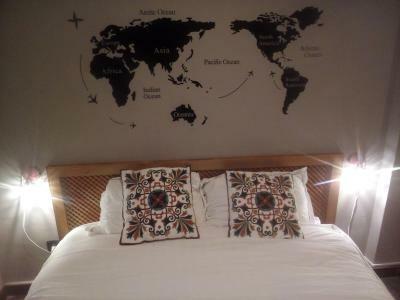 Absolutely will stay here again! One thing I noticed was that some of the prices were different than listed online for breakfast and the hiking trip. Other than that everything was perfect and in such a beautiful location! So friendly and homey! Stayed here for a week and never got bored or lonely. Lots of tours and shared meals, staff was super nice! Oasis Backpackers' Hostel is set in a traditional Andalusian building with views of the Alhambra. 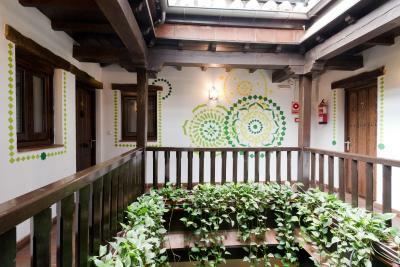 It offers free internet, an outdoor patio and a roof-top sun terrace. 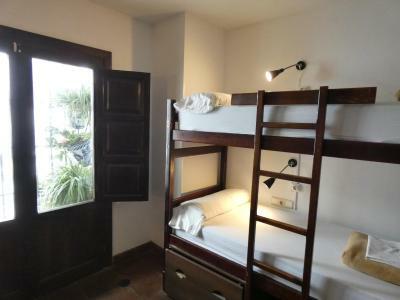 This hostel offers beds in dormitories and an apartment with a terrace. 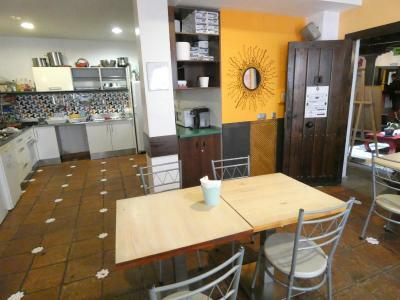 Coffee and tea-making facilities are available. 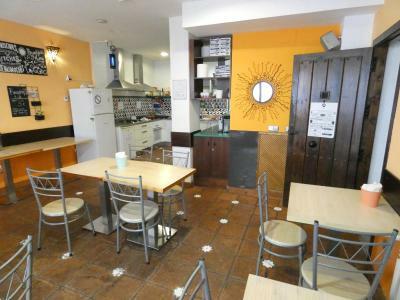 There is also a kitchen where guests can prepare food. 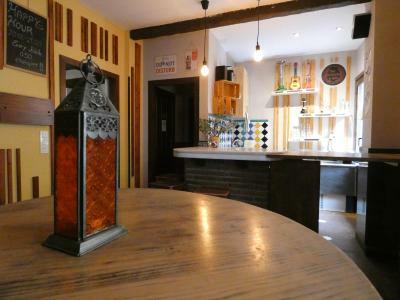 The bar at Oasis Backpackers’ provides a great place to meet other travelers. 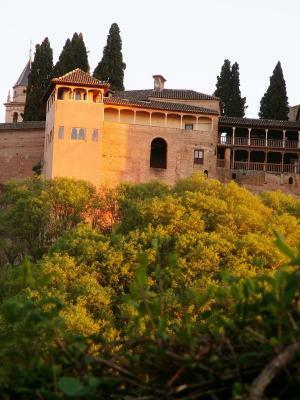 Free tapas tours are also organized, as well as a free historical walking tour, cave tour and hiking tours to Sierra Nevada. 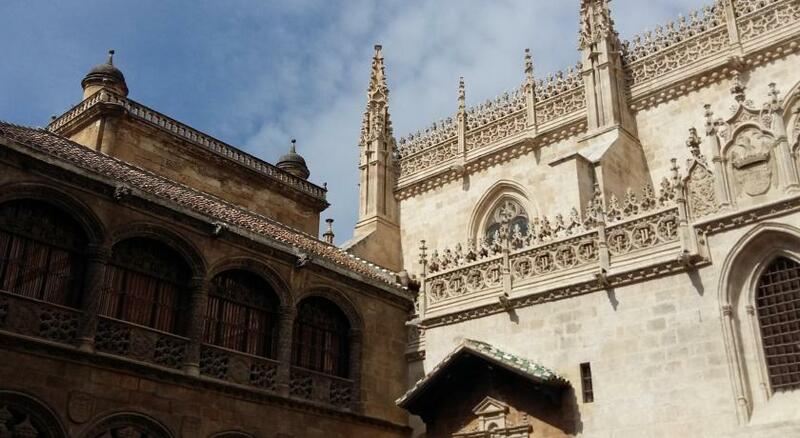 Albayzin is a great choice for travelers interested in UNESCO sites, architecture and atmosphere. 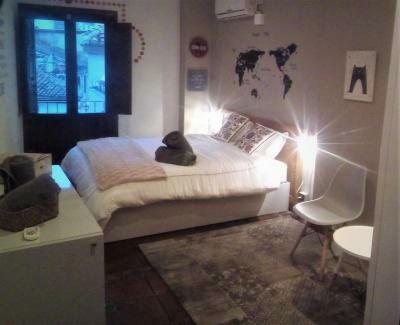 뀐 Located in the top-rated area in Granada, this property has an excellent location score of 9.1! 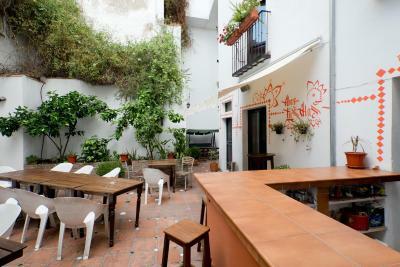 When would you like to stay at Oasis Backpackers' Hostel Granada? 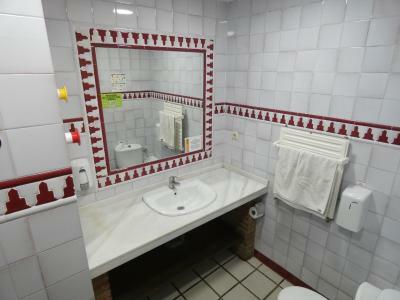 This room comes with a private bathroom with shower. 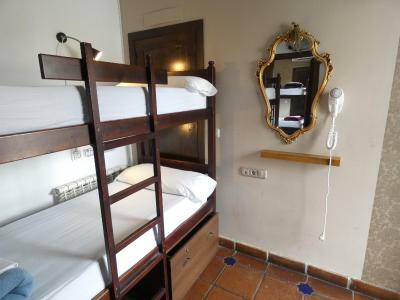 It features a personal lockers, bed linen and free Wi-Fi. 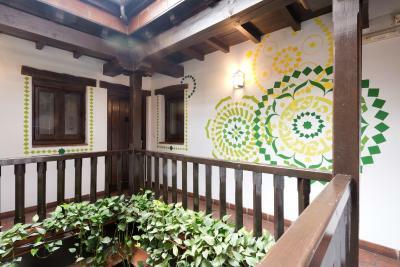 Offering a private terrace with views of the Alhambra, these apartments include free WiFi, an equipped kitchen and a lounge with a flat-screen TV. Private parking is provided in the same building. 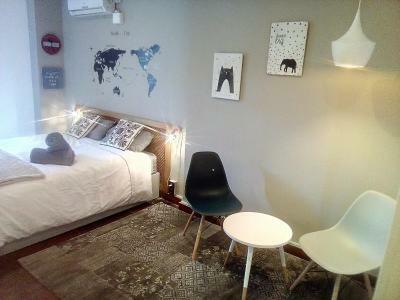 This female-only room comes with a private bathroom with shower. 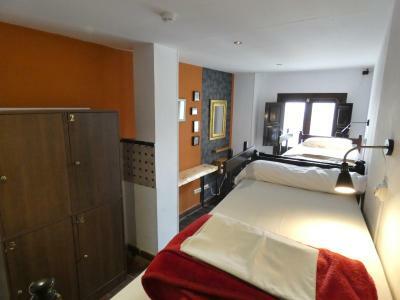 It features a personal lockers, bed linen and free Wi-Fi. 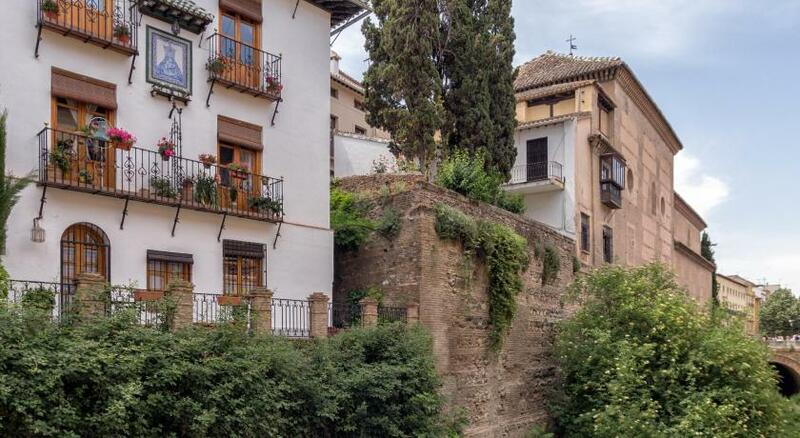 Area Info – This neighborhood is a great choice for travelers interested in UNESCO sites, architecture and atmosphere – Check location Excellent location – show map Guests loved walking around the neighborhood! 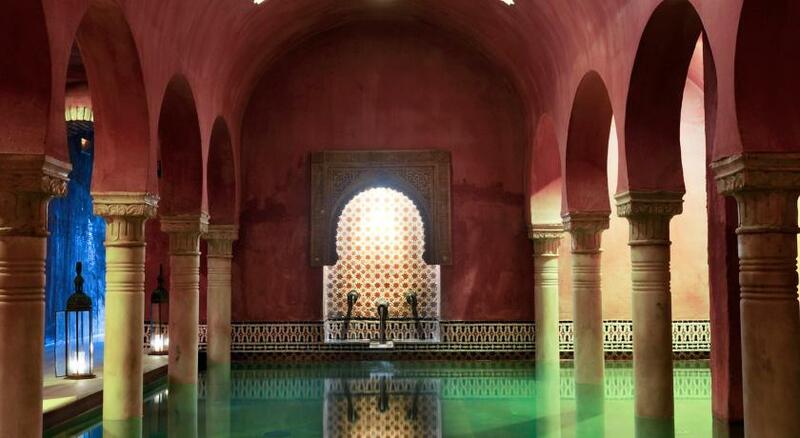 Walking through the winding Moorish alleys of the Albayzin will take you back in time. 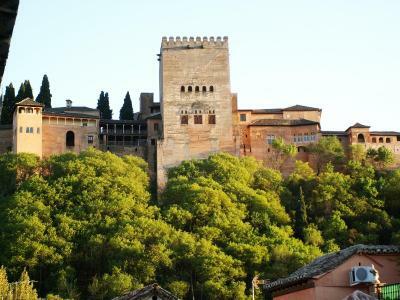 At the center of the neighborhood lies the famous Alhambra. 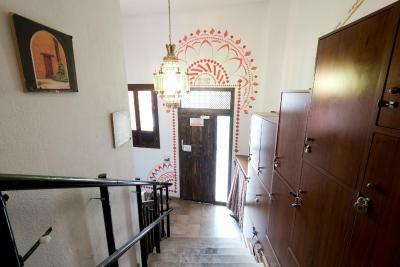 House Rules Oasis Backpackers' Hostel Granada takes special requests – add in the next step! 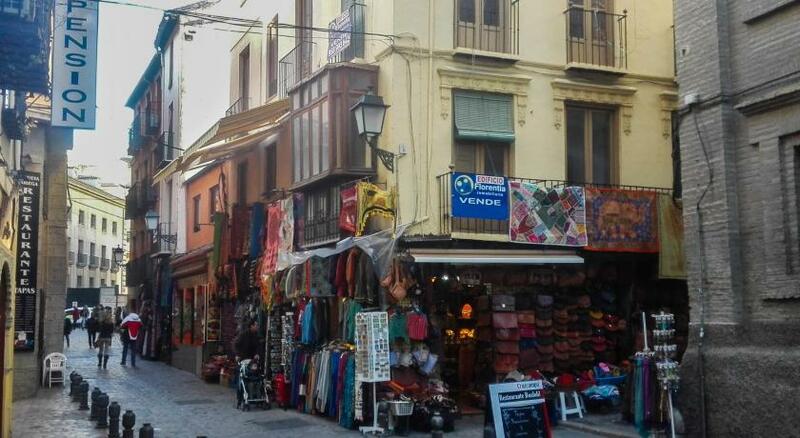 Oasis Backpackers&#39; Hostel Granada accepts these cards and reserves the right to temporarily hold an amount prior to arrival. 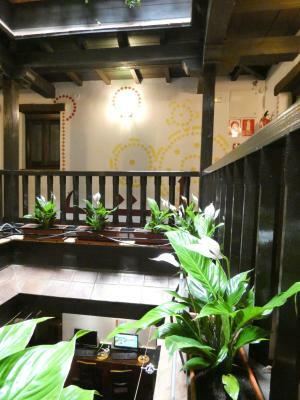 Oasis Backpackers' Hostel Granada accepts these cards and reserves the right to temporarily hold an amount prior to arrival. 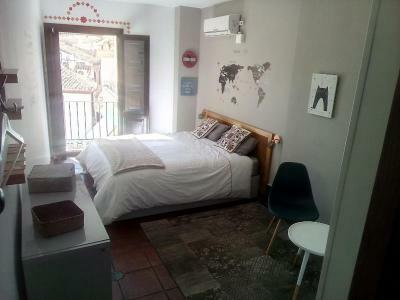 Nice location, close to the city center. Breakfast not included but It costs only 3.5€ and is good. 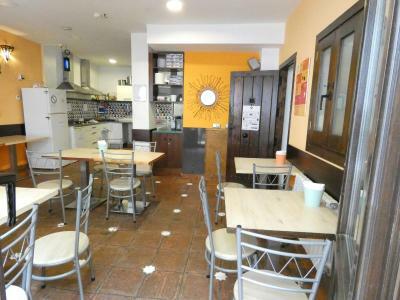 Big terrace and kitchen. The breakfast they offer is horrible, really low quality, they could give something simple but better for the 3.50 they charge. Some boiled eggs, tomatoes, cucumbers and olives would make all the difference. I mean, it's a bit noisy. 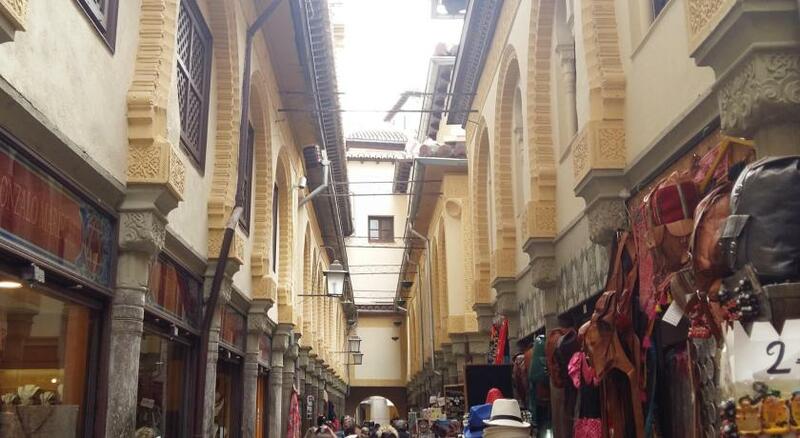 But you have to expect that with a hostel, especially with how echoey those heritage buildings are. Bring earplugs. Bit rocky check-in, with the wrong time provided on the email. But it all got sorted out. Mattress a bit hard, shower was tiny -- could barely move my arms -- but room otherwise comfortable. The pipes do seem to knock on the wall of that room though, which can be a bit annoying late at night. Might be nice if they provided some coffee and tea throughout the day, especially given how late breakfast starts. 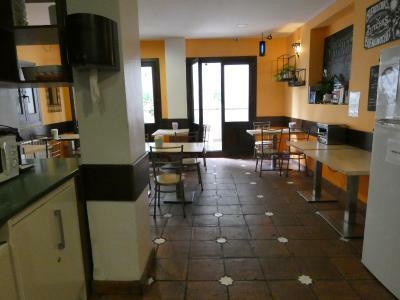 But there are lots of places in the neighbourhood to go for a coffee, so it's not a big deal. Loved this place! 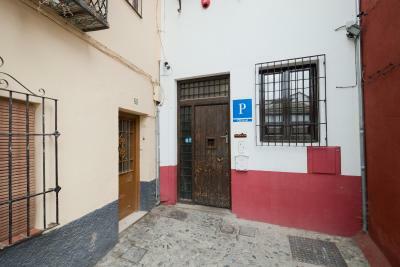 Awesome location in the Albaycin right off the Gran Via. Beautiful heritage building. Amazing common areas and everyone was so friendly. Met the best people here. I sprung for the private double and it was a good decision, clean, comfy, nice view from the balcony. Everything I needed. And a bit more peaceful than the dorm rooms. Do the street art and caves walking tour, one of the best experiences of my trip. 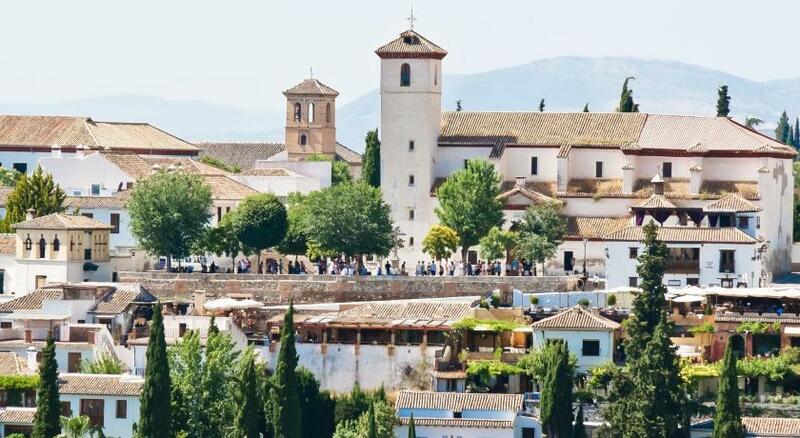 Loved the Oasis, loved Granada. 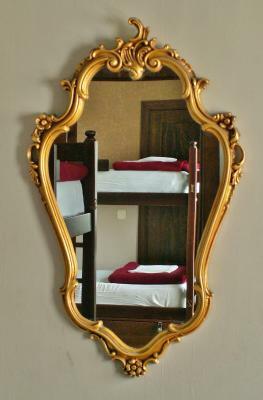 No fault of theirs but I kept hitting my head on the top bunk. (-) CREAKY BUNKS: not bolted to ground & (-) Bunks are aligned toe to toe so your neighbor might play "footsies" with yours - lol. (1) FRIENDLY STAFF: smiles & calling me by name. 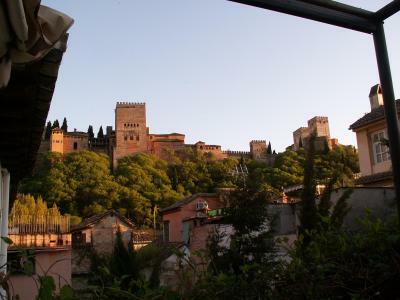 (2) LOCATION: beneath the hill for the most iconic postcard photo of Granada. 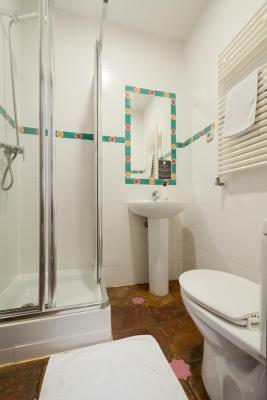 (3) TOILET & SHOWER on the ground floor for early arrivees. 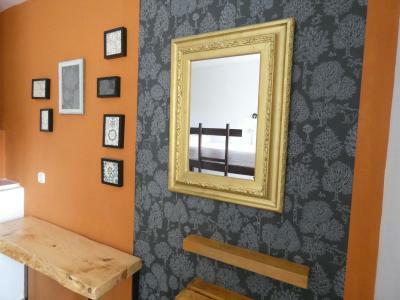 Comfortable apartments, helpful staff and close to the main sights of the city. I recommend! Freindly staff and would highly recommend the tours they organise! 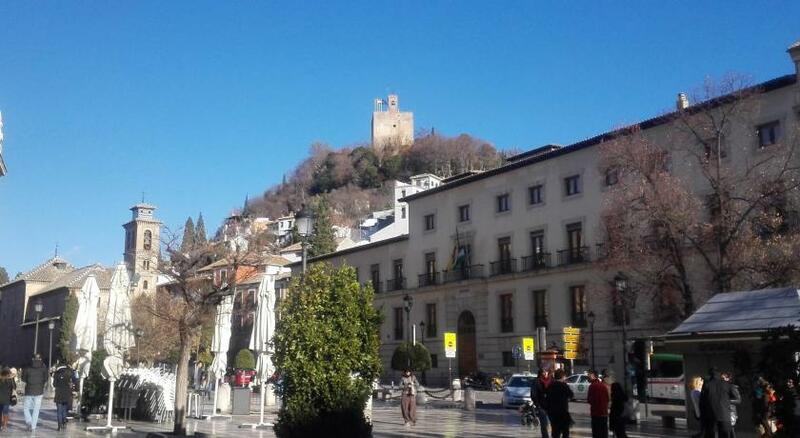 I did the walking tour and it exceeded my expectations, best thing I did in Granada! The staff was very helpful, kind and welcoming. 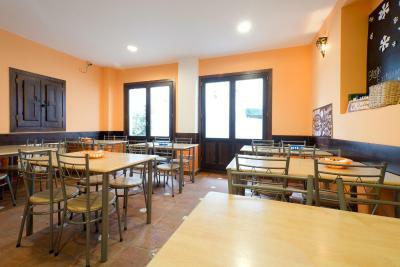 The common spaces were always available and clean. There are lockers you can use for your luggage storage after check out, but you need your own padlock. The location is perfect. 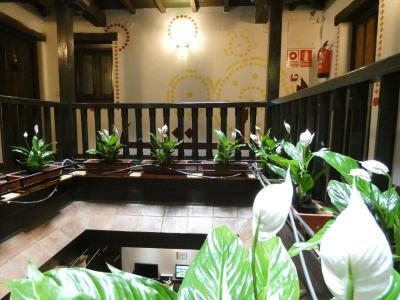 In the heart of the city, close to a lot of attractions and many restaurants, cafes, bars and tapas bars. Not much of an atmosphere to meet people. The location was perfect! Staff were wonderful. My room and bathroom were clean. Comfortable bed. Breakfast was simple but decent. Walking tour with Micheal was absolutely fantastic and I highly recommend it. Not that clean, some noisy young people in the building. Location pretty perfect, they seemend to offer a good selection of activities, so easy to get to know other travellers I guess.